In the early 1990s, fashion industry executive Ann Odgen Gaffney found herself cooking and caring for a designer in the industry fighting AIDS, The experience taught her to be fearless which was especially helpful when she was diagnosed with kidney cancer in 2001. Fortunately, Ann recovered following her surgery and her life went back to a new normal….well, sort of. A second diagnosis of unrelated breast cancer came later and was a more difficult journey with surgery, chemotherapy and radiation. Ann learned from this experience that cooking was solace and nutrition was essential to manage side effects from treatment and support her recovery. Her own experience plus listening to others facing dietary and eating challenges during treatment gave Ann the impetus to leave the fashion world to create Cook for Your Life in 2007. The organization’s mission is to give the cancer community the practical knowledge, tools and inspiration to cook their way into healthy survivorship. To date, the free classes and programs in the New York City area have served over 7000 individuals and on the free website some one million unique visitors around the world. Poor nutrition is pervasive in 50 to 80 percent of all cancer patients. 30 percent of all cancer related deaths are due to severe malnutrition. 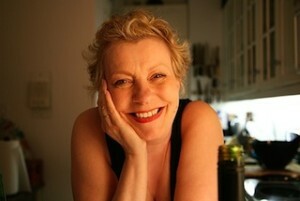 (www.meals-to-heal.com) Learn more about cancer nutrition at the National Cancer Institute website. 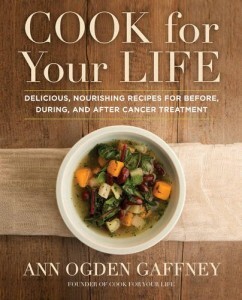 Cook For Your Life’s programs have received funding from the National Institutes for Health (NIH), Aetna and Susan G. Komen and have been embraced by organizations such as Columbia University’s Mailman School of Public Health, Mount Sinai Health System, Atlantic Health System and American Cancer Society’s Hope Lodge in New York City. In a medium saucepan, whisk together the pumpkin puree, milk, raisins, pumpkin pie spice and salt until smooth. Bring to a boil. Add the oatmeal, then turn down the heat to a simmer and cook, stirring occasionally, until the oats are tender, about 8 minutes. Serve topped with pecans and a drizzle of maple syrup.